Sometime shortly after our initial thrall over the colossal Hey Colossus album that led to last year’s dubious honor of being named “Band of the Week,” we heard rumblings of sort of a Hey Colossus project undertaken under the unassuming name Henry Blacker. Rumbling being the operative word here, in the form of the debut Henry Blacker album, “Hungry Dogs Will Eat Dirty Puddings.” How can these hungry dogs have any dirty pudding, if they don’t eat their filthy meat? It remains unclear. What’s not unclear is the intention of Henry Blacker: to blow our head clean off of our shoulders. Mission accomplished. It would appear that Henry Blacker have found an endlessly streaming fountain of riffs – herculean riffs (you thought we’d say colossal, didn’t you? ), brilliant riffs, memorable riffs. As a result, they’ve taken these riffs and – just imagine – formed them into songs. Herculean songs, brilliant songs, memorable songs. Eight of them in less than thirty minutes? We’re inclined to applaud. There’s an intensity to “Hungry Dogs …” that defies any cut-rate cultural comparisons we could possibly choke up. It’s a sound that rests somewhere between the earliest sounds of some stone-age queens and the kings of getting stoned. It’s a sound that rests somewhere between listening to Tank and getting run over by one. It’s a sound that rests somewhere between the moonlit sorrows of “Into the Pandemonium”-era Celtic Frost and being beaten bloody and senseless by The Moondogs. Let sleeping dogs lie; let “Hungry Dogs” split your skull in two. In our eyes, there’s nothing lacking. Be that as it may, occasionally what we need is a damned good whacking. Enter Pigs Pigs Pigs Pigs Pigs Pigs Pigs. To avoid fainting, we’ll refer to the band from here on as PigsX7, who not long ago released their first (and so far, only) release, a split LP with The Cosmic Dead (more on them in a moment). PigsX7, we can say without a snort, would seem to have something broadly in common with the afore-praised Hey Colossus, if not Henry Blacker as well – something perhaps beyond sharing a country of origin. A shared sense of the sensation that results from sonically tearing a hole in the very fabric of time and space? That’ll do, PigsX7, that’ll do. But where Henry Blacker chose a sniper-like efficiency, PigsX7 have something more cosmic in mind, a warpage of time, and it’s bliss for everyone. Those in the know may have already assumed as much after reading the words “split LP with The Cosmic Dead,” but PigsX7 give themselves over to the universe in the form of a twenty-two minute silver-machine ride, “The Wizard and the Seven Shrines,” a mesmerizing mass of metaphysical metal, tenfold through the deadly black hole. Hypnotic isn’t the half of it. It’s massive. It’s madness. It’s music that’s unleashed as much as it’s performed. The fuse has been lit and the band has begun their ascension toward the amplified realms of no turning back. We faint. We levitate. We briefly believe the band’s singer to be screaming about pizza. Eight minutes into this rocket ride, we reach riff flameout, intercepted by the communications system of Cygnus X-1. For the moment, we’re prepared to bid farewell to the exalted kings, we think. 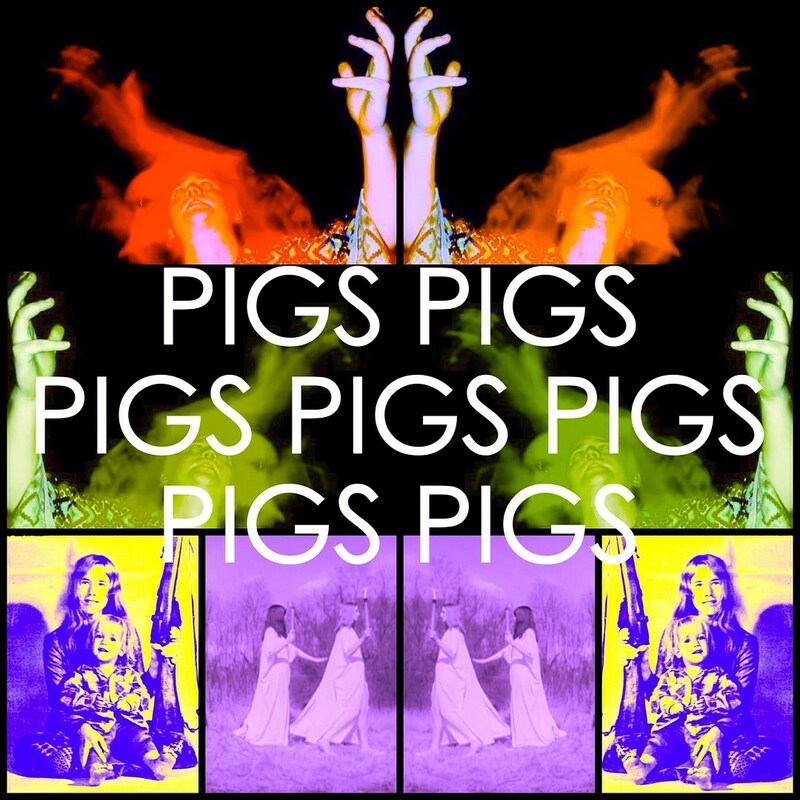 But we’re not even halfway there – not halfway to the end of the PigsX7 journey, not halfway to describing its sound. It’s only here that we recognize that the guitar is not being played through a power amp set to explode, but rather doing a direct-in to the third ring of Saturn, topped by screams that are either longing for Valhalla on the face of Venus, or excitedly claiming to have found it. Just as the whole endeavor threatens to crash directly into the side of space-rock mountain, the riff machine recalibrates, ghoulish guitar gnashing growing like the ghost of Glen Buxton, reanimated just in time to join Napalm Death in the enslavement and obliteration of a fallen cyborg-Christ. What we’re saying is, it’s a hell of a first impression. All that being said … what can we possibly say about The Cosmic Dead? 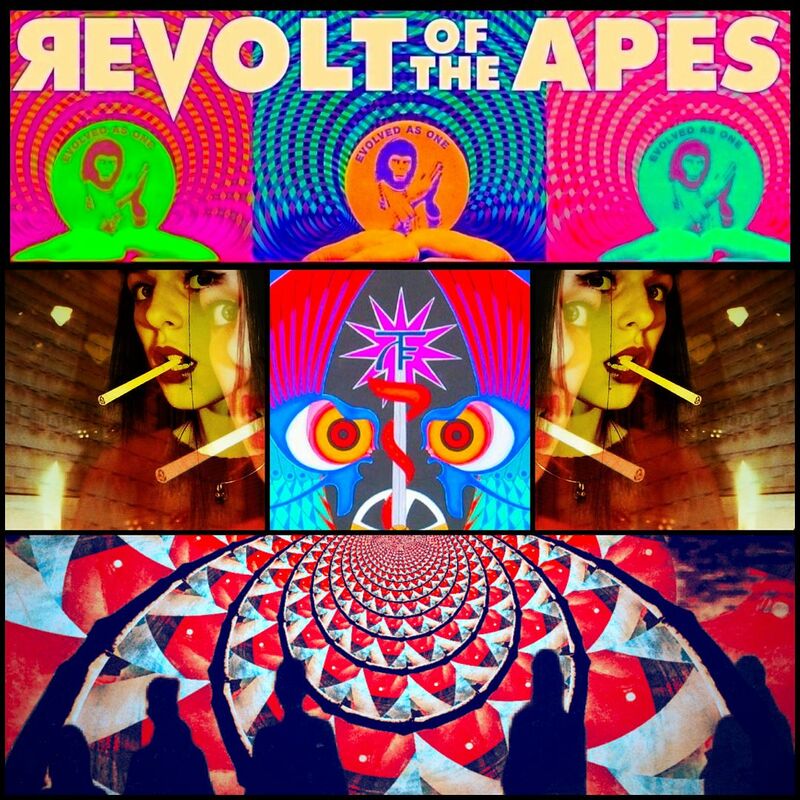 While we would hope that our regard for the band – the highest possible regard, in league with that of such eternals as White Hills and Gnod – would be well understand, we also realize it’s been over two years since we featured the band on this ridiculous website. In those two years, The Cosmic Dead have … what? 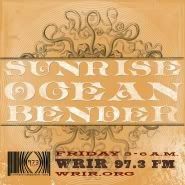 Given birth to an unparalleled array of releases, coming on like an even less-sober Ash Ra Tempel with a Bandcamp page? Solidified their reputation as a levitation-inducing live act? All of this and more? Yes. We could say that. 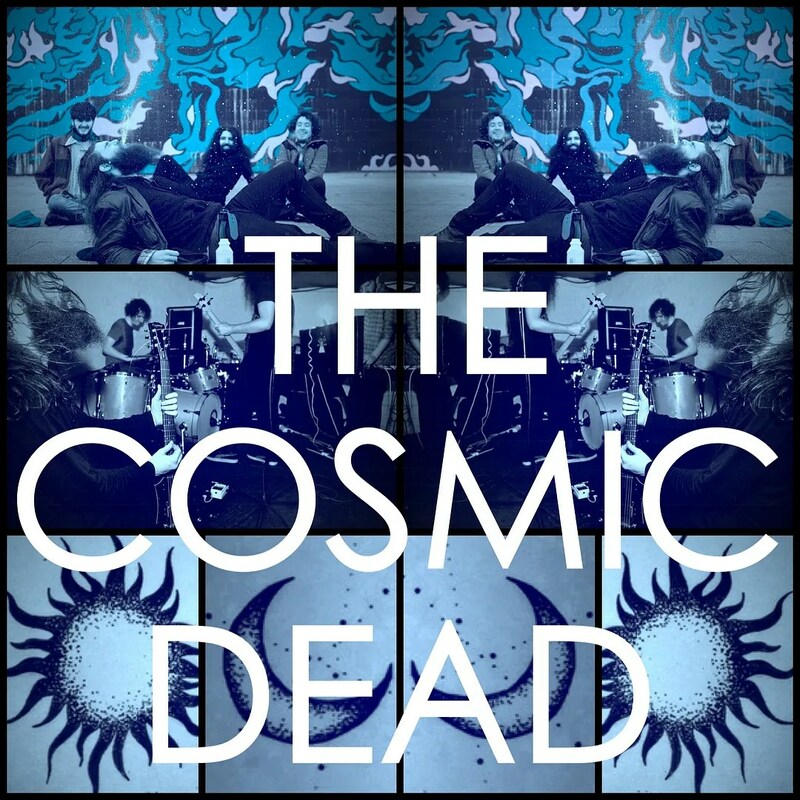 We could say that The Cosmic Dead’s contribution to this split LP – in the form of the also twenty-two minute version of “Djamba” – is a dubbed-out delight that must have achieved magnificent things in a prior life, or an alternate dimension. We could say that the song is built on the backbone of a bass-line that slowly seduces all senses, gaining trust before secreting its venom. We could say that The Cosmic Dead have expressed nothing less than the very sound of the yawning abyss, the void between day and dream, the communion of the Alpha and the Omega. We could say that. We could say that the Gnod’s honest truth is that listening to “Djamba” aroused with startling clarity our memory of once buying a copy of Buddy Miles’ “Expressway to Your Skull” on acid. This is a true statement. And if this band of gypsies known as The Cosmic Dead haven’t appropriated the bass-line from that album’s “Funky Mule,” I’ll eat my hat (note: I do not wear a hat). We could say that The Cosmic Dead offer you the chance to experience nothing less than total rebirth, the turning of the wheel within the span of just a song. We could say it’s palatable. We could say it’s energizing. We could say it’s life-changing. We could say their upcoming album (“EasterFaust”) on Sounds of Cobra Records is – believe it or not – even better. 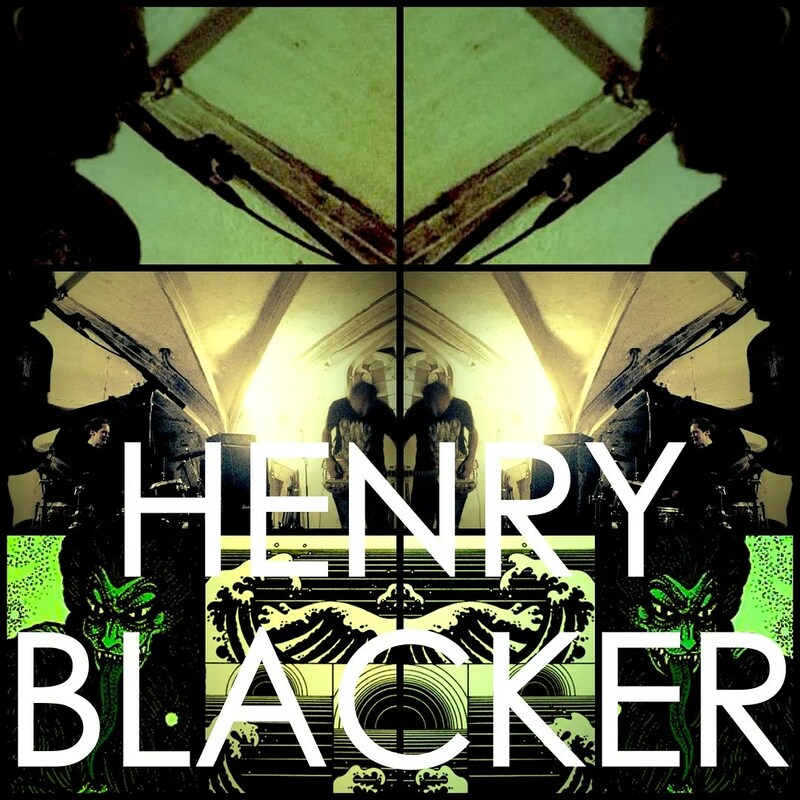 Henry Blacker’s debut is out on Riot Season Records (EUR) and Learning Curve Records (US). The Cosmic Dead / Pigs Pigs Pigs Pigs Pigs Pigs Pigs split LP on The Old Noise is, of course, already sold out. Why not enjoy it digitally? “EasterFaust” by The Cosmic Dead is coming real, real soon from Sound of Cobra.